How do I do bookkeeping for my small businesses? Good bookkeeping is absolutely essential for you, no matter how big or small your business is. Bookkeeping involves recording your businesses sales, purchases, expenses, assets and liabilities and then compiling these into a financial statement to see how well your business is doing. You record your business transactions and through this, you can create your Balance Sheet and also determine your profit and loss. The core of bookkeeping is to record your business transactions into an accounting software, such as QuickBooks. These software’s have a double entry system and it makes it much easier to record your transactions as compared to excel or other manual ways of recording. The CRA highly prefers that all of your business expenses should go from your business account and all the income should also come into your business account as well. Your personal account should not be involved in your business transactions. Bookkeepers also need to make sure the business bank balance or business visa card balance should match at the end of each month, if the balance doesn’t match then you cannot reconcile it and your profit and loss won’t be displayed accurately. What do you include in a bookkeeping entry? Bookkeepers should enter each transaction from the bank statements or business visa statements; they should make sure to include the detail of the DATE, VENDOR NAME and, of course, the amount. Classifying the expenses can get a little complicated. For e.g. a Laptop is considered a purchase for an electronic business but the same laptop will be considered an asset to someone who runs an IT consulting business. How do you know if you recorded everything correctly? Often, bookkeepers place the GST/HST on the wrong accounts and they often miss recording HST paid and the result is extra GST/HST payable. Our accountants as Itaxonline make sure your GST/HST, cash, and all other transactions are taken care of properly. At itaxonline, we understand that it is essential that the same accountant who does your taxes should also do your bookkeeping so they can truly understand how your business runs and make the right decisions for your business. 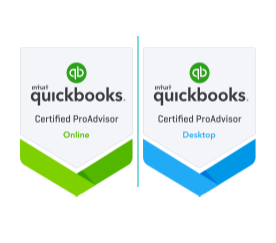 Most Bookkeepers charge a lot of money to small businesses, but we have new software’s which takes us less time to record the transactions and that’s why we offer minimum fees for our services.